Coefficient of determination(决定系数), which is often called R Squared is a commonly used parameter to determine how well data points fit a curve. As you can see here R-squared is 0.9694 is very close to 1 which indicates that our linear model fit the data pretty well or vice versa. 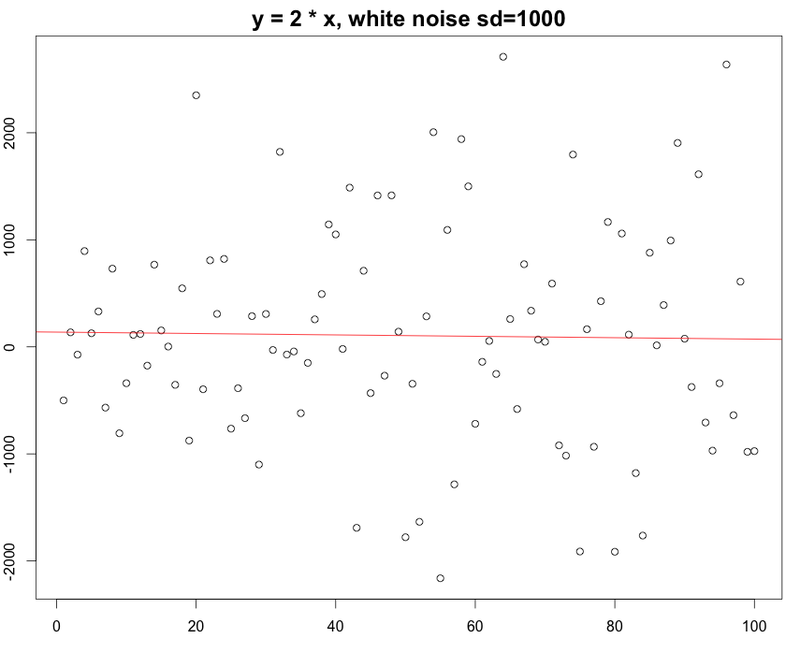 Again, if you change the standard deviation from 10 to 1000, which means that the white noise actually beat the existing rule.. to be simple, there is not that much linear regression during that data range. You can still build a linear model on it but the R squared turned out to be really really small. 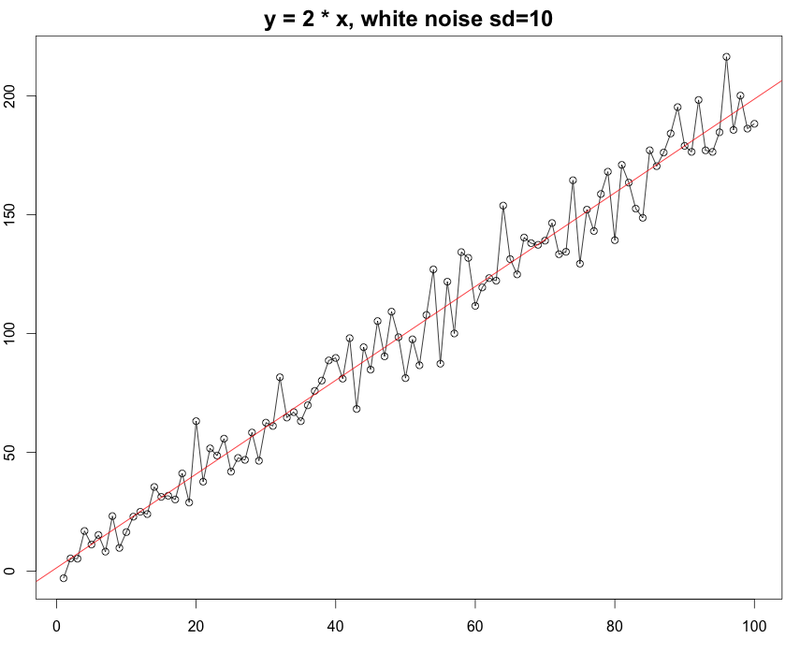 The R squared here is 0.0003613 , which indicates our linear model is really a bad model to fit the datasets. 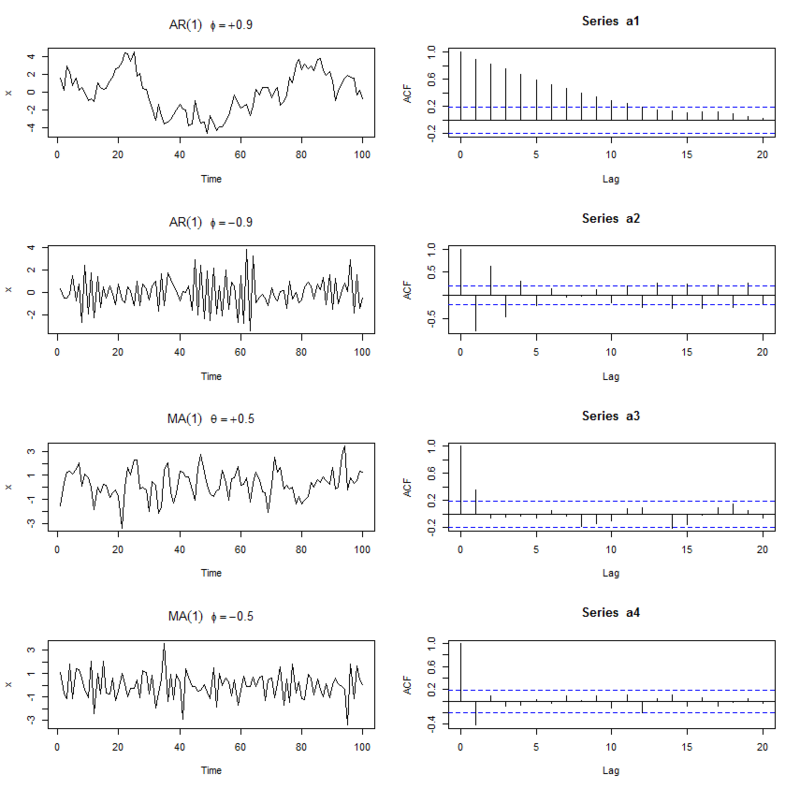 In conlusion, R-squared gives a pretty good idea of how the data points line up with your model. Then the question is where does the name R – squared come from? The R is actually Pearson product moment correlation coefficient (Pearson’s R), whose definition is the covariance divide by the product of their own standard deviation. Which lines up perfectly with the R-squared in our linear model above(sd=5).